This follows on neatly from last week's post about Cutlers' Hall. 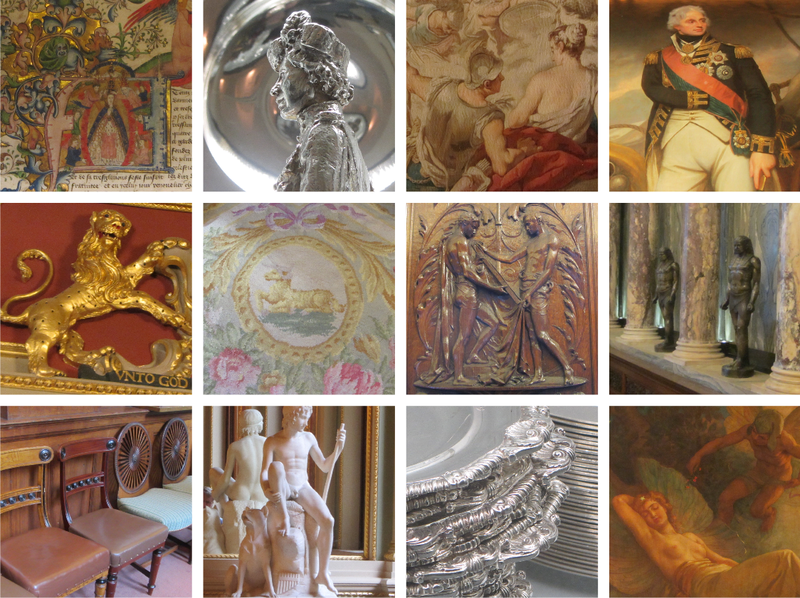 Last month I met up with a group from London Historians for a guided tour of Drapers' Hall. Drapers' Hall is thought by many to be the grandest of the livery halls which, I suppose, befits their standing at No.3 on the order of precedence. It is indeed very impressive; festooned with gorgeous reliefs, chandeliers, tapestries, carpets, sculptures and paintings – each item with its own story to tell. Also impressive is the silver vault. The Drapers' animal is the ram, who sits on top of the coat of arms. He appears here and there throughout the building though I didn't see as many different depictions of rams as I did elephants at Cutlers' Hall, or rhinos at the Apothecaries' Hall*. You can glean more info about Drapers' Hall from their site – there is even a virtual tour available – but it's not the same as being there yourself and walking into each room not knowing what to expect and involuntarily saying "ooh!". The rooms of Drapers Hall form a square ring around a quadrangle (not accessible on the tour). I was intrigued by this space and the mouldings/carvings around the windows each depicting a different country. 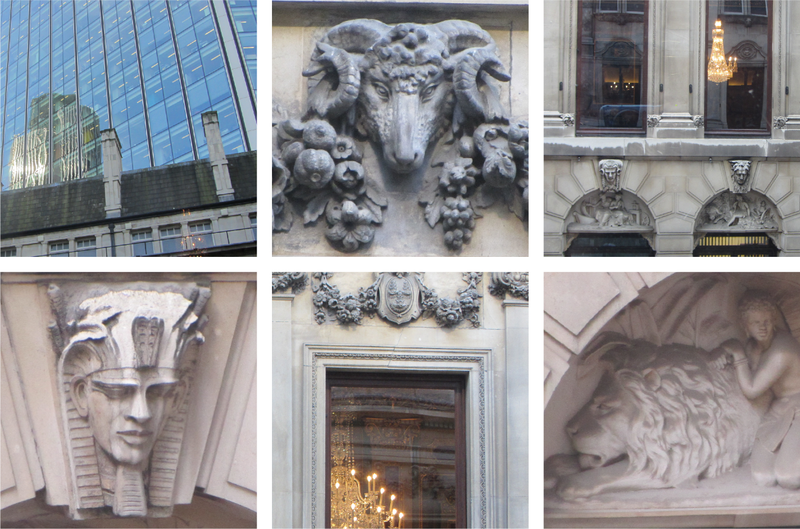 I also liked the reflections of the outside world and the rooms opposite, and the rams' heads above the upper windows. *Oops! Just checked my archives to link to the Apothecaries Hall and it turns out I never wrote about it. So many things; so little time.